Ho-ho-hooyah! The most important season for new beauty products is upon us. We consumers call this the holiday season. 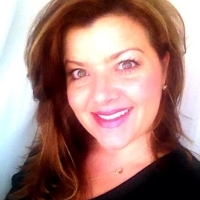 The beauty industry calls it the fourth quarter, the most important quarter for sales. That means loads of new makeup brushes and sets! We will keep a running tally of the best ones here, but keep in mind that holiday brush sets are usually *limited edition* items, and they do frequently sell out before the big day. For example, the bareMinerals Swept Away Mini Brush Collection featured here ($26 at Nordstrom) is a perfect representation of many holiday brush sets. 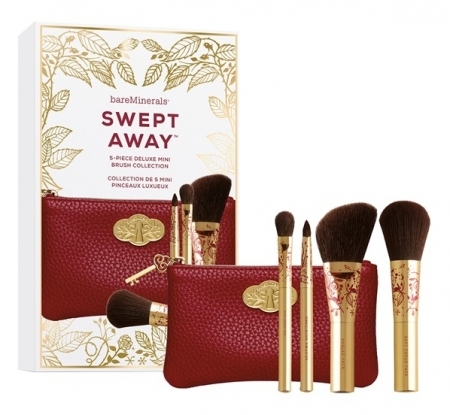 It’s a limited edition and features four specially decorated brushes — a soft focus face brush, angled facial brush, sweep eye brush and precision smudge brush — along with a pouch, deep red in this case, with a fake gold key lock on the front. 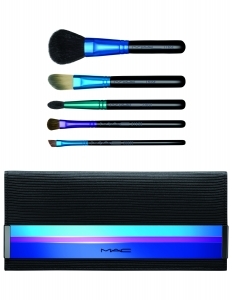 MAC Cosmetics Enchanted Eve Collection. Available: Oct. 22, which is this coming Thursday. Three sets are available: basic, essential and mineralize. Pricing is $52.50 for each set at Nordstrom. 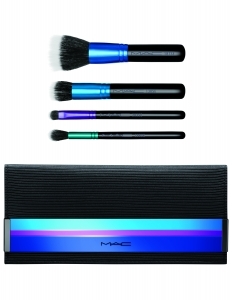 MAC clearly envisions a holiday season in cool, pearly hues of blue, purple and green. Five brushes included in the Basic set: blush, angled foundation, fluff, small tapered blending, and a small angle. Five brushes included in the Essentials set: small cheek, large angled contour, pencil, mini tapered and eye shading. 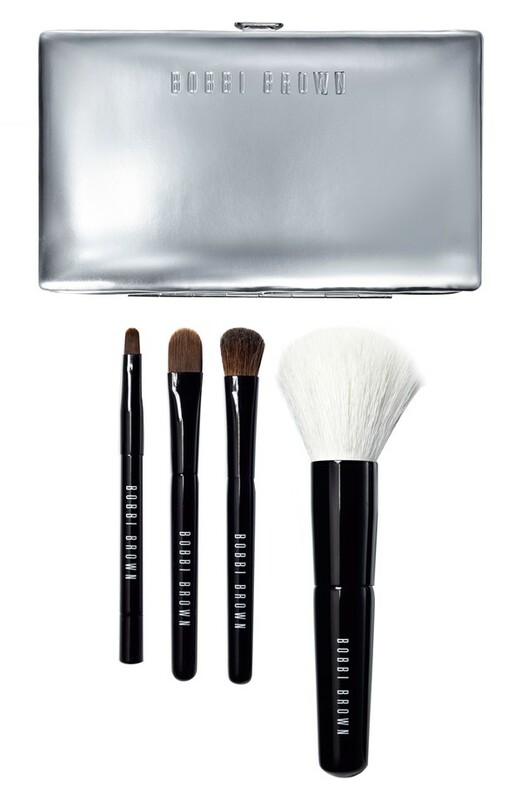 Four brushes included in the Mineralize set, all of which are duo fibers: foundation, blush, eye shadow and blending. Case included for all sets. 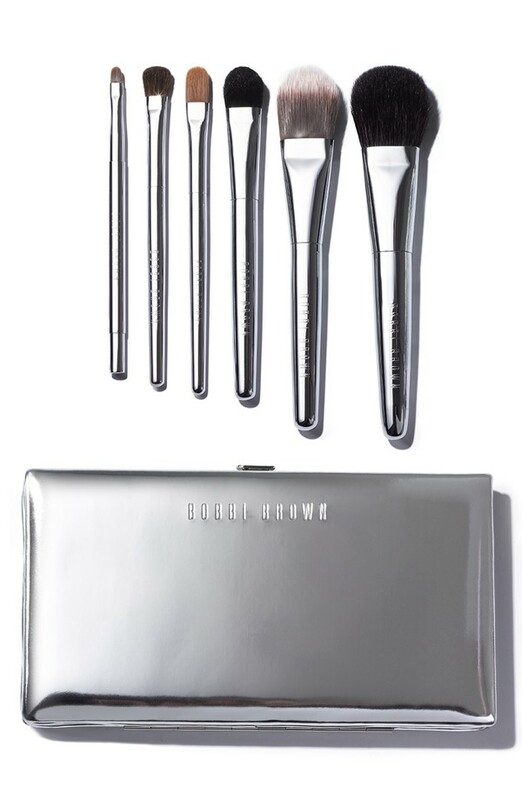 The travel set below retails for $200, while the mini brush set is priced at $71.10, which is a weird price at Nordstrom because of this price matching thing they are doing over there these days. Both sets, which are available for sale here, include starry silver cases. 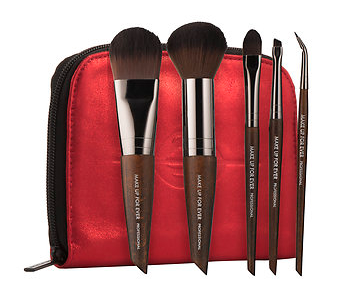 The six-brush travel set includes a blush, foundation, concealer, eyeshadow, eye sweep and eyeliner brush. Also includes a sleek silver case. The handles are brass plated in a silver material. 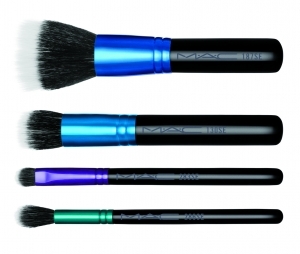 The four-brush mini set includes a face blender, cream shadow, eyeshadow and eyeliner brush. Palm-sized. No information disclosed on fiber materials. See note above. Her brushes are made of pony, goat, and synthetic hair. Thanks, Trish! 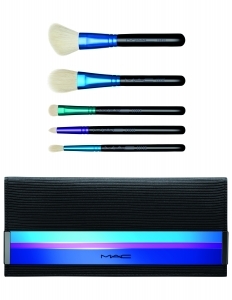 We have two 7-brush sets here, the Limited Edition Power of Brushes Collection Effortlessly Natural, in silver, for $158, and the Limited Edition Power of Brushes Collection, in stunning peacock blue, for $198. The Effortlessly Natural set includes: Brush 66 Cream Blender, Brush 68 Everything Eye, New Brush 83 All Over Eye, Brush 50 Angled Eye Lining, Brush 76 Perfect Foundation, New Brush 84 Complexion Enhancer and the New Brush 85 Ultimate Face Enhancer Kabuki, which is that angled contouring number that looks a tad like the Nars Ita on the far right. 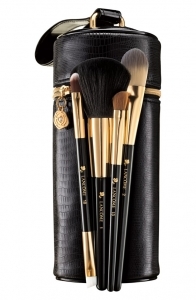 The $198 set includes, far right, includes the $46 woodsy petite kabuki brush, with AAAA goat hair, along with a few of the same brushes from the $158 set. However, there are some differences, so look closely. The right set swaps the complexion brush on the left, for applying concealer, with a blush/powder brush. Also, different styles of foundation brushes. Natural Power of Brushes, $158. 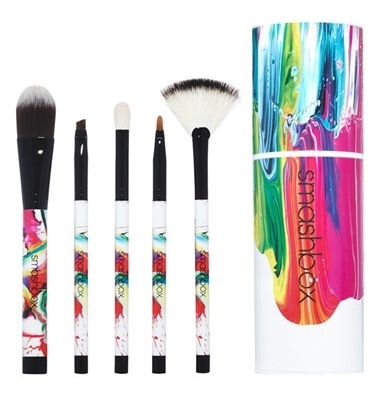 Exclusive to Nordstrom, and priced at $69, this set features Yago Hortal’s “one-of-a-kind, vivid artwork,” according to the marketing materials. They actually look an awful lot like these Linda Mason brushes to us here, but they’re still lovely and we approve. These bright graffiti-tattoo reminiscent brushes will likely go fast. 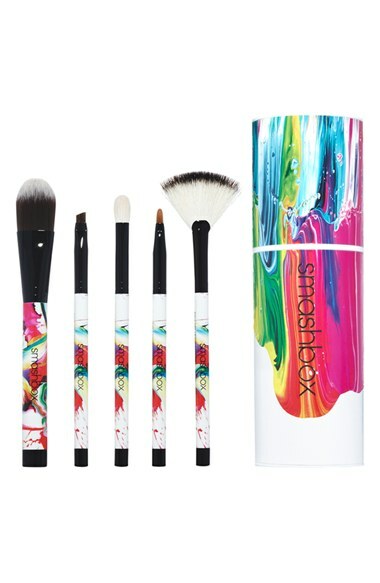 This limited edition brush set is at Nordstrom and has a current retail price of $57.60 (again, weird price, because of The Big N’s price matching). 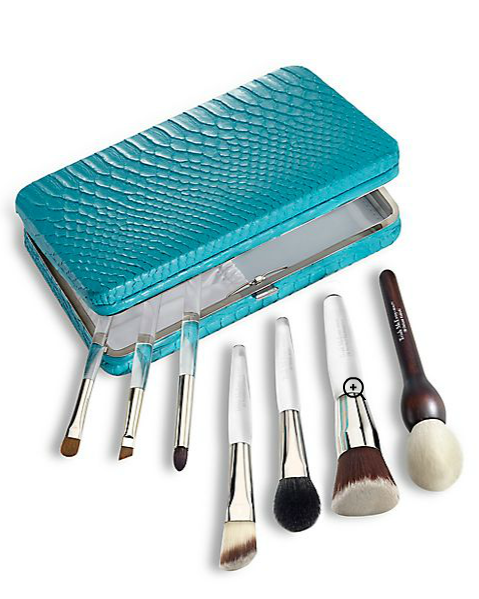 We’re liking this set a lot, in large part because this is a nice case and Lancome brushes are always solid. Brushes included: #1 powder, #2 foundation, #13 angle shadow and #18 dual-end liner and shadow. Quite frankly, this is a great value and a great gift under $60. Important note: While the foundation brush is disclosed as synthetic, no other fiber disclosures are made on the other brushes. Makeup Up For Ever (MUFU). Limited edition. Available at Sephora, for $86 warm toasty chestnuts. Of all the brush sets so far, this feels the most romantically warm and traditional with the warm red carrier pouch and the woodsy, worn brush stems. Also, no offensive holiday marketing gimmicks. 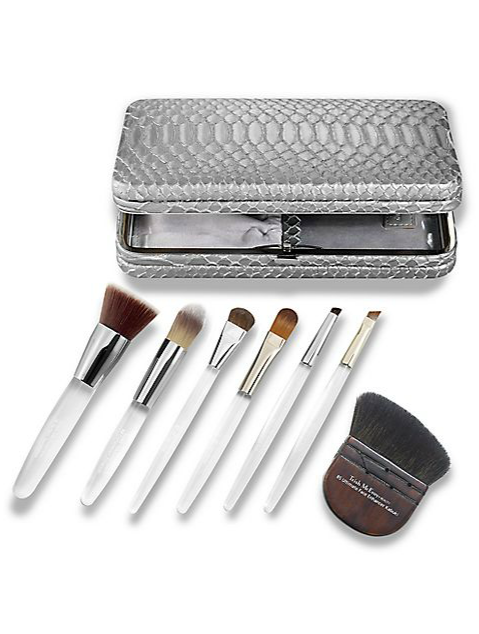 This is on the pricier side, but MUFU brushes are hand made by French brush manufacturer Raphael and this is an upscale set. A lovely gift for the under $100 crowd. What’s included? #106 medium foundation, #152 medium highlighter, #226 medium eye shader, #260 bent eyeliner and #270 angled eyebrow brush. 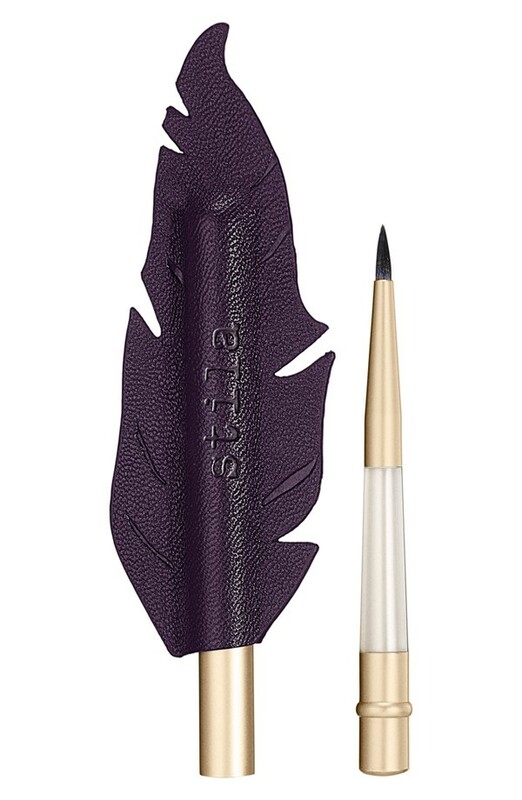 This feathered precision eye liner brush is a limited edition, available for $32 at Nordstrom, and a thoughtful gift for under $40. Especially if you have a BFF who loves a good cat eye. This product is meant to be used with Stila’s Got Inked Cushion Eye Liner. No information on materials is provided. 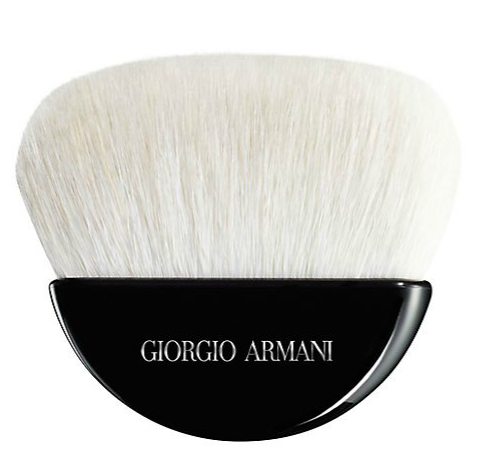 This sculpting powder brush, for $90 at Saks, is a stunner. Made in France of soft natural goat hairs. 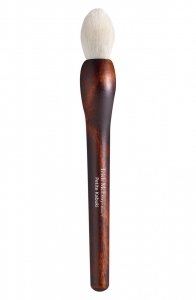 If you’re looking for a sculpting brush that’s a step up from the Nars Ita, this is the one. 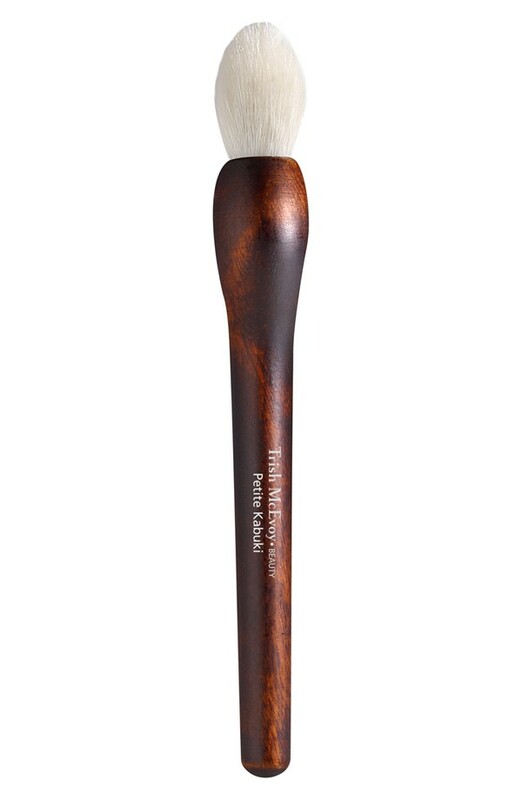 Her Petite Kabuki Brush, mentioned already above, is a fine gift in its own right, at $46. In a sleek box with a red ribbon, it could be an elegant gift for a beauty lover. We’ll also be linking to 2015 holiday brush sets on our Pinterest feed here, but we also encourage you to check out our Best of the Best brush sets lists, which features best-selling, reliable brush sets.